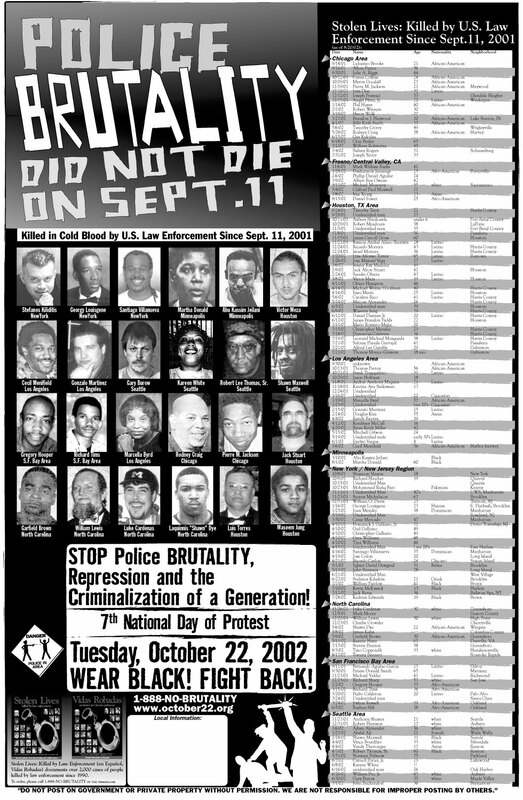 New poster with 24 photos, and 140 names of people killed by U.S. law enforcement since 9/11/01. 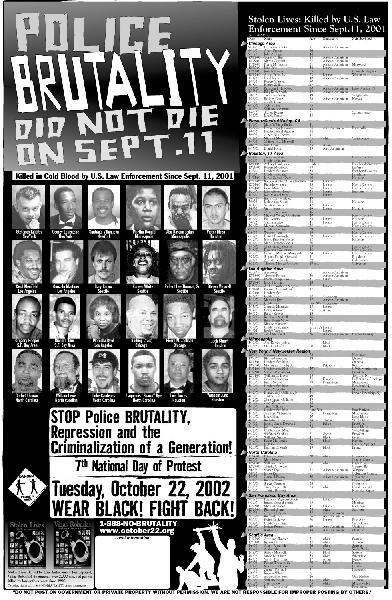 To order prints (22" X 30"), please contact the national office at 1-888-NO-BRUTALITY or your local Oct.22 group. Hi-Res PDF available at october22.org in the downloads section.